It’s amazing how in the last five years, much of the initial communication to my Pennsylvania motorcycle accident law firm, from my clients, is taking place via social media and e-mail. Every time we get calls from potential clients for motorcycle accident cases we tell them to strictly use email from their computers to communicate with us and to stay off social media sites. 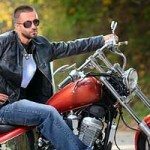 Most of my clients suffer severe injuries, and a large percentage use their computers to document and memorialize their injuries, and also to locate a Pennsylvania motorcycle accident lawyer, or a New Jersey motorcycle attorney. 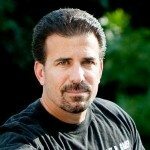 As a motorcycle accident lawyer, I warn my clients about the dangers of social media use before motorcycle accident cases are resolved, because the law firms that are hired by the insurance companies have begun to request passwords, giving them unfettered access to any social media sites you may have created. Although I have written on this subject before, recently during the deposition of one of my clients, the defense attorney asked my client for his Facebook information. We did not provide it and I am now responding to a motion that has been filed to force my client to produce that information. 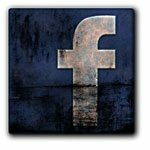 I know that it may be second nature to go onto Facebook and advise all of your “friends” that you have been involved in a motorcycle accident, however, the posting of injury photos and the damage to your bike could end up being used against you. Recently, the trial court in Indiana County, PA after reviewing an opinion from Northumberland County, PA in the case of Zimmerman vs. Weiss Markets, dealt with the discovery of Facebook information and opined that “by virtue of the Plaintiff’s allegations in her complaint in the personal injury matter, the Plaintiff placed her “physical condition at issue”. Accordingly the Court held; that the Defendant was entitled to conduct discovery in an effort to obtain information relevant and related to the cause of action stated, which may include access to social networking sites”. The Court further ruled that a Plaintiff “cannot maintain a reasonable expectation of privacy when she created the account and voluntarily posted the information knowing that the information could become publically available”. If you have any questions regarding motorcycle accident cases and social media please contact motorcycle accident attorney Lee D. Gaber, Esquire, “The Cycle Attorney” at 888-292-5352 (888-CYCLE-LAW) … and temporarily sign off of social media sites.